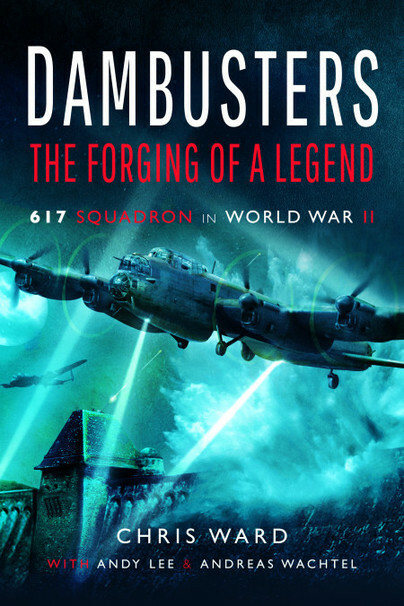 You'll be £16.99 closer to your next £10.00 credit when you purchase Dambusters: The Forging of a Legend. What's this? 617 Squadron of 5 Group RAF Bomber Command was without doubt the most famous RAF Squadron in World War II. It was formed to carry out the precision low-level attack on the Möhne, Eder and Sorpe Dams, using Barnes Wallis's newly developed rotating mine, now commonly referred to as ‘The Bouncing Bomb’. The raid was a tremendous success, although costly to the squadron, and proved to be a great morale booster for the war-weary British public. Guy Gibson VC was tasked with organising the formation and training of the new squadron and the Dambusters have been national heroes ever since. Although many books have explored this epic adventure previously, this publication offers fresh perspectives on the long and envious history of 617, from their very first raid until the end of the war. This retelling of the Dams raid pays particular attention to timings. It is often easy to overlook the fact that this was a complex three-phase operation, spanning 8 hours and 47 minutes, with action occurring simultaneously at widely dispersed locations. The book also attempts to settle, once and for all, the circumstances of the losses, by examining the testimony of eyewitnesses on both sides. Previous accounts can be criticised for being contradictory or at variance; here, efforts have been made to present arguments in such a way as to help readers decide for themselves what actually happened. In the later war years, 617 suffered greatly during an attack on the Dortmund-Ems Canal, but they recovered. Their list of prioritised special targets went on to include Hamburg, the German missile research plant at Peenemu&#776;nde, the U boat pens at La Pallice and the sinking of the battleship Tirpitz. The legendary Leonard Cheshire VC led the Squadron for much of that period. Contained within this newly researched publication are a host of first-hand accounts from squadron members as well as German and Dutch witnesses who were present at some of the most spectacular raids. These eyewitness accounts help to explain many of the mysterious losses of the Squadron's aircraft. Lengthy appendices contain a Roll of Honour, lists of Commanders, airfields and aircraft, operational statistics and aircraft histories.